It’s no surprise that Thanksgiving—a holiday devoted to food, at which I am the only one to receive presents—is my most favorite. In high school and college my parents and I always celebrated as a nuclear family, doing a full meal for just the three of us, which meant lots of yumminess and even more leftovers. After college I started cooking this meal with a close group of my dearest friends, rotating hosting and experimenting with somewhat nontraditional but still seasonal fare. Of late, I’ve been staying in New York, at a gathering of “strays.” The past two years the fabulous Lindsay hosted, but I was in charge of the turkey and gravy. She moved to Beirut this past summer, which means everyone’s coming to our place, plus a few new faces! I’ve been busy with prep for days: Two turkeys brined and hanging out in the fridge, Lindsay’s family stuffing sauteed and waiting to be mixed up and baked, bags and bags of cranberries ready to transform into relish and sauce. Today I realized that there were no pies on the menu so I quickly made some pastry dough and got a pumpkin pie in the oven; later tonight I’m planning on making a tarte tatin for the first time. My guests will round out the menu with all the fixings, from mashed potatoes and sweet potato casserole to brussels sprouts and green bean casserole. So here’s to celebrating harvest, and abundance, and all those things that keep us going, like our family and friends and our time together. I hope you have a fabulous day as well! 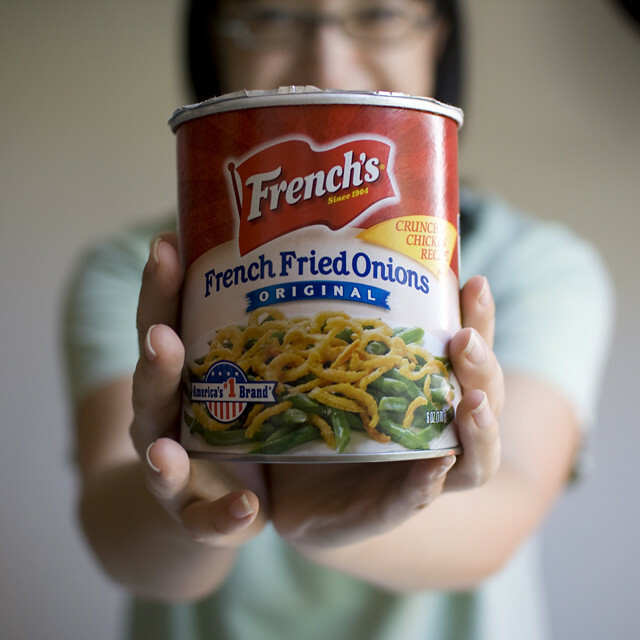 We’ll say it with French’s fried onions! 5 Responses to happy thanksgiving!! 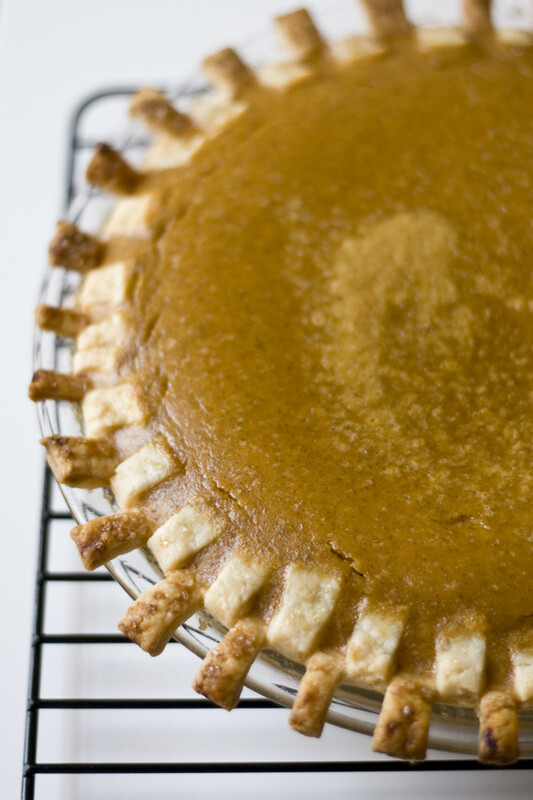 Your pie edge is fantastic. Happy Thanksgiving! this was one fabulous thanksgiving people. thanks for hosting again!! !